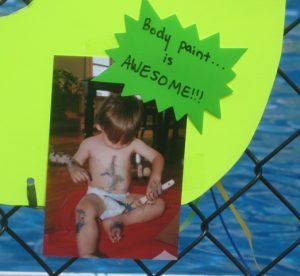 I am a little bit behind with posting this one for my grandson…but better late than never. 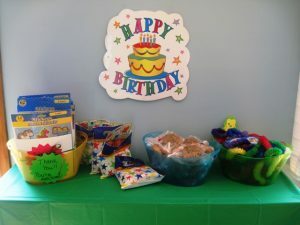 His mom always does a super job with planning birthday parties for him and his brother. It takes a lot of planning and creativity, but it is so worth it, as you will agree once you check out all the pictures I will post for you. 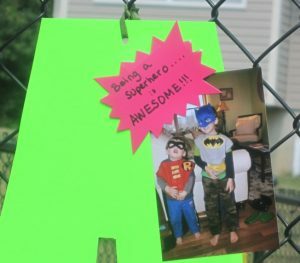 The “AWESOME” banner above, was pinned to the fence around the pool, and various pictures of the birthday boy’s fun activities throughout the year, were attached to the letters. 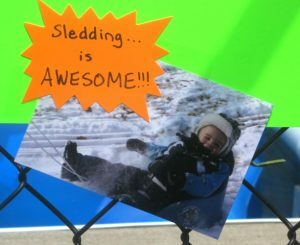 I am displaying only few, since normally I do not post pictures of people on my blog, especially children…it’s just me… I know you will understand, or maybe even agree. 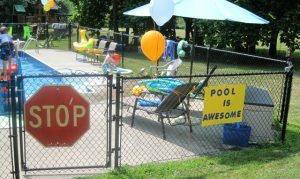 Swimming in the ” Awesome Pool” , accompanied by their parents. 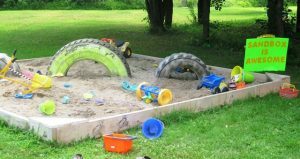 Playing in the “Awesome Sandbox” constructed by his “awesome dad” (we all know that boys love digging in the sand and dirt). 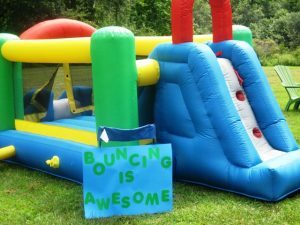 Burning out their “everlasting energy”, at the ” Awesome Bounce House” with a slide. After all this fun, these little munchkins were ready for some food, drinks and snacks. 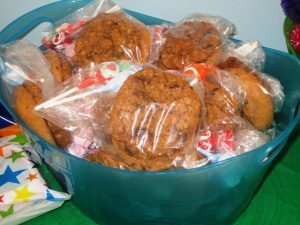 His grandma baked his favorite “Awesome cookies”. 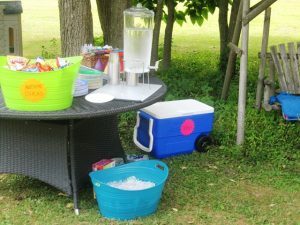 There was pizza, fresh fruits, salads, and trays of refreshing subs…. (I am not sure what happened to several of my pictures…but they mysteriously disappeared from my camera…after I retrieved it from curious little hands)..so…use your imagination to wake up your taste buds. 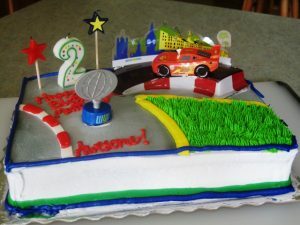 Here is the ” Awesome Birthday Cake”….with an ” Awesome Race Car”…..a special request from the Birthday Boy. He loves cars, and especially in orange color. These little party attendants still had their afternoon nap on the schedule, so they grabbed their Thank You favors, and headed home to relax.